Find out the real story of how Stan Lee created Black Panther. The Black Panther movie comes out this weekend and is on track to be one of Marvel's most successful movies. There's been a lot of discussion about the origins of the superhero Black Panther. But the full story of how Stan Lee created the character hasn't been told for many years. 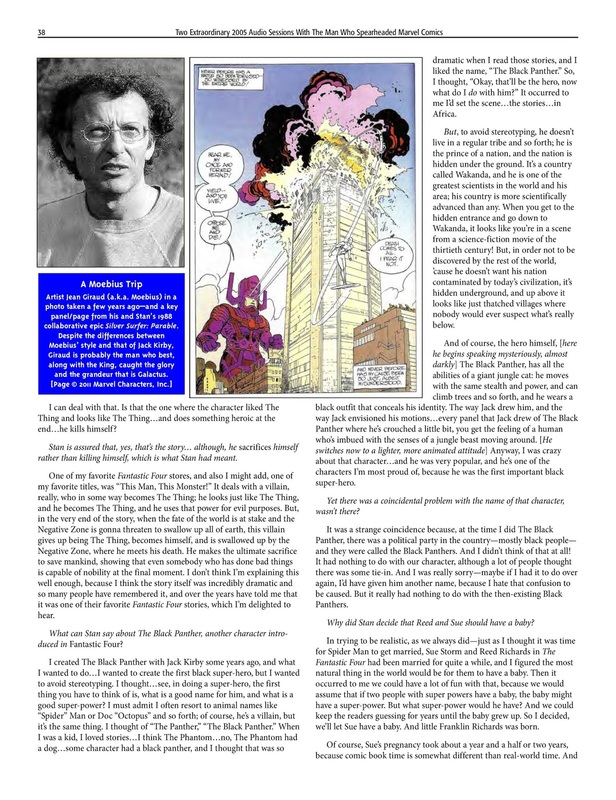 I tracked down an old magazine article based on a set of audio interviews with the legendary comic book creator Stan Lee. 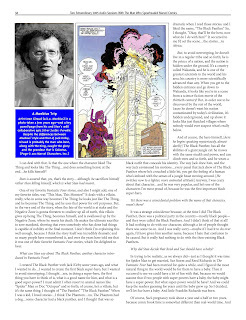 In an interview for the August 2011 issue of AlterEgo #104, he tells the real story. While the magazine came out in 2011, the interview was recorded in 2005. It's the most detailed and insightful interview of how Lee came up with King T'Challa and the amazing African nation of Wakanda. Here's a scan of the magazine page. For those who don't know, Black Panther is a superhero and the leader of the fictional African nation of Wakanda and has enhanced strength, speed, and agility. 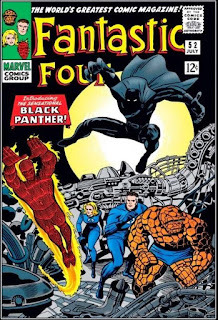 Black Panther's alter-ego T'Challa was co-created by Stan Lee and the masterful comic book artist Jack "King" Kirby who created dozens of characters on his own. 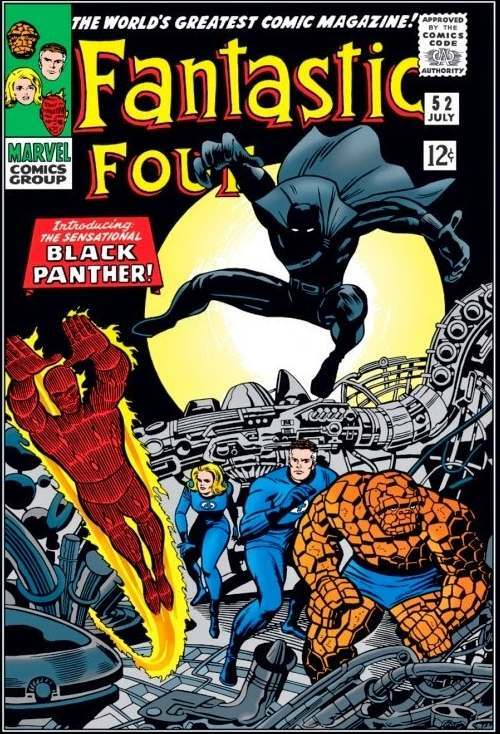 Black Panther first appeared in Fantastic Four #52 (1966) and is the first superhero of African descent in mainstream American comics. Why Did Stan Lee Create Black Panther? "I created The Black Panther with Jack Kirby some years ago, and what I wanted to do," Stan Lee said, "I wanted to create the first black super-hero, but I wanted to avoid stereotyping. I thought...see, in doing a super-hero, the first thing you have to think of is, what is a good name for him, and what is a good super-power? I must admit I often resort to animal names like 'Spider' Man or Doc 'Octopus' and so forth; of course, he’s a villain, but it’s the same thing. I thought of 'The Panther,' 'The Black Panther.'" Stan Lee loves naming superheroes and villains after animals. He's created dozens of characters based on animals like Spider-Man, Ant-Man, and The Lizard. A panther is a natural fit for him. Where Did the Idea of a Black Panther Come From? "When I was a kid, I loved stories...I think The Phantom...no, The Phantom had a dog...some character had a black panther, and I thought that was so dramatic when I read those stories, and I liked the name, 'The Black Panther.'" Lee continued. "So, I thought, 'Okay, that’ll be the hero, now what do I do with him?' It occurred to me I’d set the scene...the stories...in Africa." 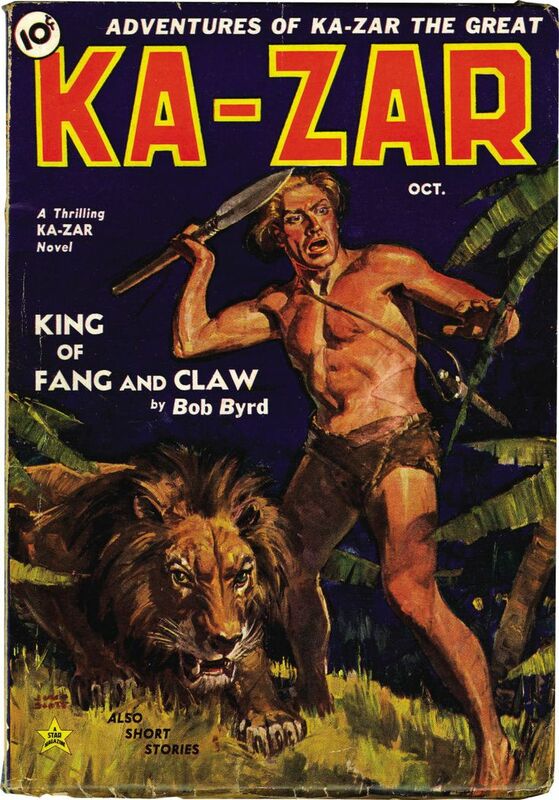 While there are many pulp heroes from the 1930s there are none that I could find that has a panther sidekick. 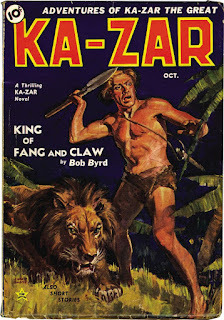 There are a few jungle pulp heroes like Tarzan and Ka-Zar that hang around with a lion. So maybe that's who Lee was talking about. How Did Stan Lee Avoid Stereotyping Black Panther? "But, to avoid stereotyping, he doesn’t live in a regular tribe and so forth; he is the prince of a nation, and the nation is hidden under the ground. It’s a country called Wakanda, and he is one of the greatest scientists in the world and his area; his country is more scientifically advanced than any," Lee continued. 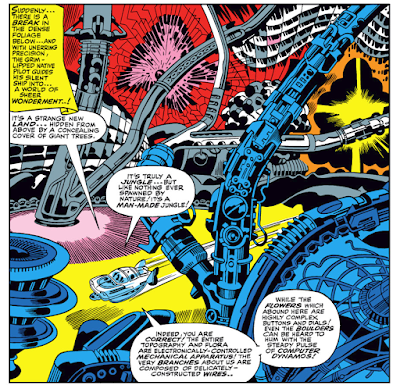 "When you get to the hidden entrance and go down to Wakanda, it looks like you’re in a scene from a science-fiction movie of the thirtieth century! But, in order not to be discovered by the rest of the world, ’cause he doesn’t want his nation contaminated by today’s civilization, it’s hidden underground, and up above it looks like just thatched villages where nobody would ever suspect what’s really below." This description deviates from the comic book. In the comics, the Fantastic Four are taken to a remote jungle and the technological marvel of Wakanda is hidden under a dense cover of giant trees. It's possible this was the original plan and it was changed before publication. It's also cool that Stan Lee decided that just having him a regular jungle native would be racist. Marvel comics actually had a long history of racially insensitive portrayals of black people. The comic company was originally called Timely and, in the 1930s and 40s, had many comics featuring characters based on minstrel shows. They all had pitch black skin with large eyes and bright red lips. Not that Timely was unusual in its portrayal. Pretty much all the comics and movies of the era showed African Americans this way. However, that changed after WWII and progressed to the 1960s when the civil rights movement changed popular culture's view of black people. Eventually, Marvel started introducing more black people as background characters. 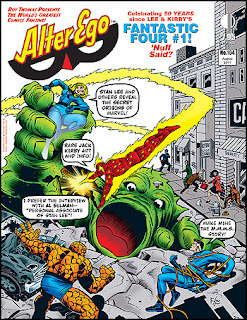 Notably, they began appearing in Stan Lee and Steve Ditko's run of Amazing Spider-Man. Not only as background characters but people of influence like policemen and working for the Daily Bugle. So the creators at Marvel comics were at the forefront of popular culture's portrayal of black people. What Are Black Panther's Powers? "And of course, the hero himself, The Black Panther, has all the abilities of a giant jungle cat: he moves with the same stealth and power and can climb trees and so forth, and he wears a black outfit that conceals his identity. The way Jack drew him, and the way Jack envisioned his motions...every panel that Jack drew of The Black Panther where he’s crouched a little bit, you get the feeling of a human who’s imbued with the senses of a jungle beast moving around." "Anyway, I was crazy about that character...and he was very popular, and he’s one of the characters I’m most proud of because he was the first important black super-hero," Lee said happily. "Yet there was a coincidental problem with the name of that character, wasn’t there?" 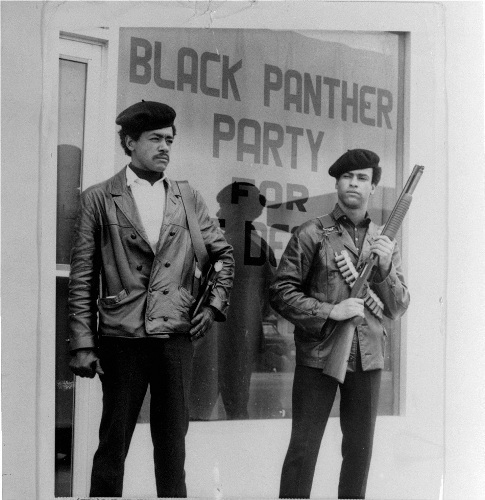 Was Black Panther Named After the Black Panther Party? "It was a strange coincidence because at the time I did The Black Panther, there was a political party in the country - mostly black people - and they were called the Black Panthers. And I didn’t think of that at all! It had nothing to do with our character, although a lot of people thought there was some tie-in. And I was really sorry - maybe if I had it to do over again, I’d have given him another name, because I hate that confusion to be caused. But it really had nothing to do with the then-existing Black Panthers." So, there you have the whole story. Stan Lee created the ground-breaking character of Black Panther to challenge stereotypes. Now the movie is set to break records and introduce a whole new era of minority superheroes. To catch up on the history of Black Panther read our list of 10 Essential Black Panther Comics You Should Read and make sure to enter our contest to win a Black Panther movie prize pack! What do you think of the origins of Black Panther?